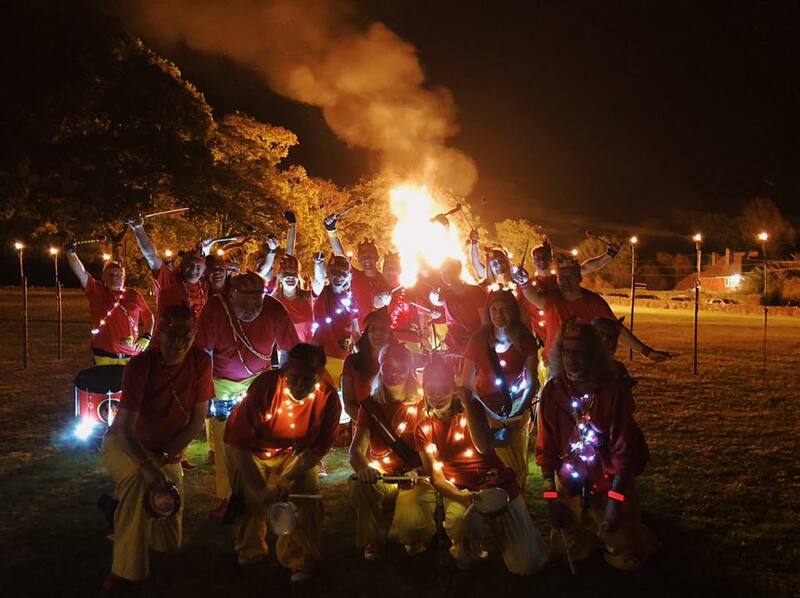 Hundreds of flaming torches created an amazing spectacle lighting the parade route along the road from the Church to the local village hall. 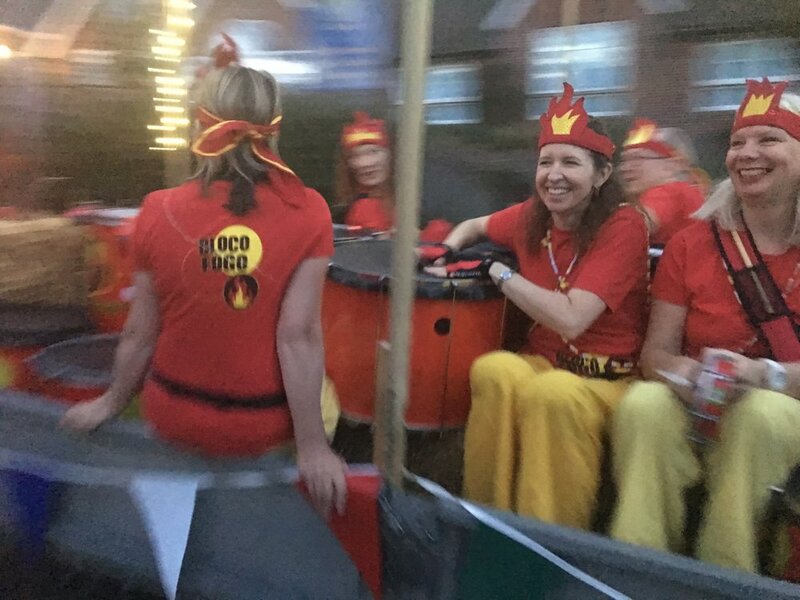 We were out in front of the procession adding some samba beats along with a steam traction engine and a tractor pulling a trailer full of of local children. 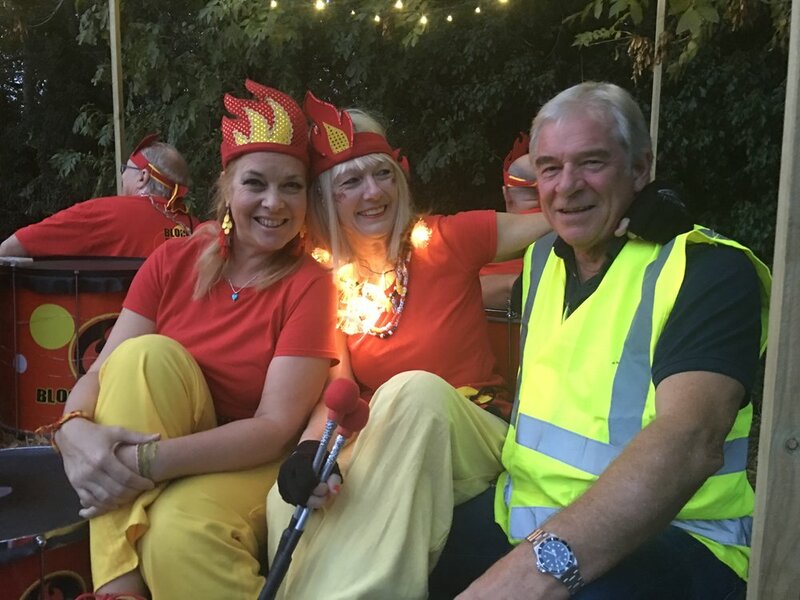 Torches were not necessary however to keep warm though as temperatures remained in the low 20’s for the whole evening, crazy for mid October! 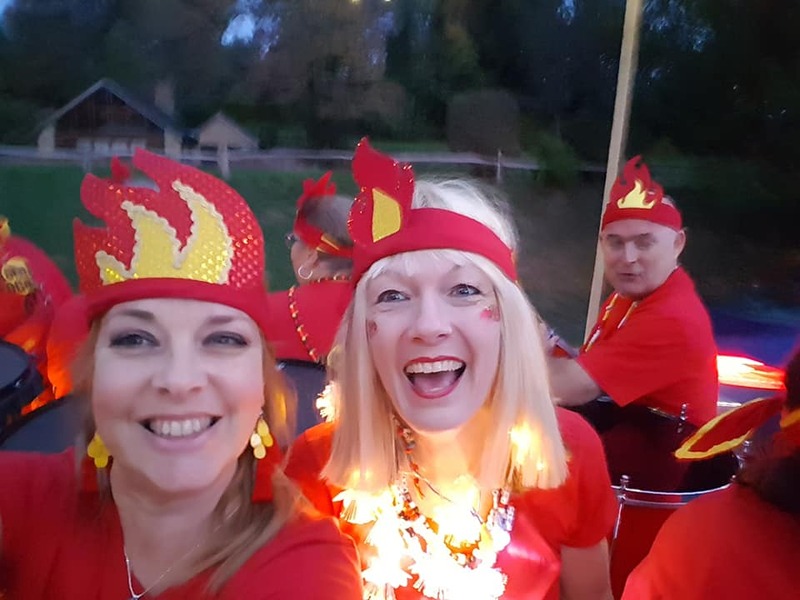 We even managed to squeeze in a tractor ride with a lift to the start and an extra performance in front of the superb bonfire just before the firework display.